First amendment gives the Press the right to publish news, information and opinions without government interference. Sixth amendment guarantees that the defendant is tried in a court open to the public before an impartial jury. a fair trial, the media's right to free speech and the public's right to an open court lies squarely on the shoulders of the presiding judge: Michael Pastor, in our case. There are several measurements that a judge could employ to establish the aforementioned balance in his court. Jury sequestration is one of them. 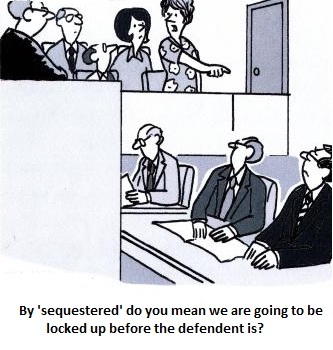 Sequestration is the practice of physically keeping the jury together and totally isolated from outside influences during the trial or deliberation stage, or both. This measure is usually taken only for high profile cases, where the massive media coverage may prejudice the jury's verdict, thus, violating the defendant’s six amendment rights. In its most extreme form, when not in the courtroom hearing the case, jurors are kept under the constant supervision of a guard at an undisclosed location. Their contact with the outsiders including family is eliminated or curtailed. Any outgoing communication, if any allowed, is monitored to ascertain that their communication doesn’t involve the Trial. 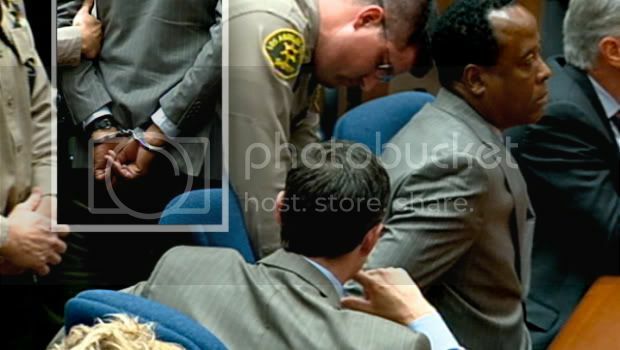 It cost the state of California $3 million to sequester OJ Simpson jury for almost 9 months. Scott Peterson jury was sequestered only during deliberation period for a week. Mark Geragos, Scott Peterson attorney requested full sequestration during the entire trial. Mr. Geragos stated “This gentleman beside me is fighting with one hand tied behind his back. I'm just trying to level the playing field.” Judge Alfred Delucchi denied the total sequestration request, reasoning that “if I was to tell people you can't see your loved ones for five months, you can't watch television, you can't listen to the radio, you're going to be locked away in a hotel somewhere ... it could have a negative effect on people who could get resentful that they've been locked up." Judge Delucchi remarked that the jurors will be exposed to outside influences regardless and that "the only place this wouldn't happen is if we parked the jury on Mars. We can't do that." a verdict contrary to the media verdict, acquitting him of all 14 counts of charges. of justice. I remain confident that jurors follow the law. They follow orders. I feel confident that the jurors understand their responsibility is to follow the evidence and to decide the case on the evidence and not to be influenced by the extraneous materials”. He then advised the defense team to file a motion for his consideration. “Even if the jurors are instructed not to watch any news coverage, it is unrealistic to expect an unsequestered jury to avoid hearing about the case. Therefore, complete sequestration is necessary to eliminate the high risk of jury contamination. Dr. Murray respectfully asks this court for an order sequestering the jury during the entire trial, including jury deliberations” concluded the defense motion. 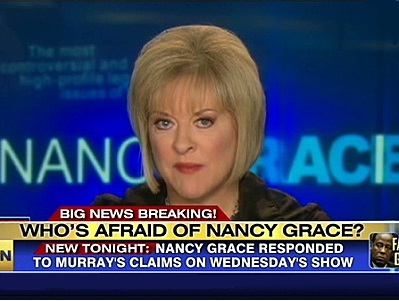 On August 25, 2011, Judge Michael Pastor denied the motion to sequester the jury. Deputy District Attorney David Walgren stated that the prosecution didn’t feel the sequestration was necessary. “Sequestered juries have indicated they have felt like inmates and they feel they were being imprisoned. They are monitored 24/7, they have minimal freedom of movement and they can’t even speak to loved ones without being monitored. Many sequestered jury indicated that they found the sequestration so frustrating, so intimidating and so cruel that it actually interfered with their assessment of the evidence and the law. While I raise the issue of cost, that is not the over-riding consideration. Justice trumps everything" stated judge Michael Pastor. in-court cameras, maybe amend it to prevent that particular problem” Chernoff said. Judge Pastor responded “by problem, do you mean the exercise of first amendment? The first amendment is one of those cherished fundamental constitutional rights in the United States. That includes the right to comment. Judge Michael Pastor then denied the motion for jury sequestration: “I expect that the jurors will follow the high road and that means that they will not be in the receipt of or in contact with information regarding this case. I have tremendous faith in the jury system and in the individual promises of jurors. The defense motion is denied." 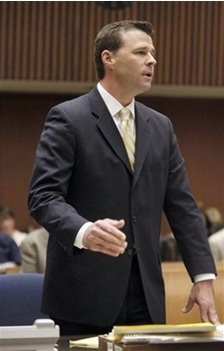 In summary, Conrad Murray jury won't be sequestered and the Trial will be televised. of people are available for a jury that will be sequestered. v Can cause jurors to rush to judgment to escape sequestration. v Can cause the jurors to identify with the government (as caretaker) or against the government (as the jury’s jailer). a husband, a wife, a friend, where they can regroup and marshal their energies. Make no mistake about it, sequestration is no picnic and I have sympathy and respect for the jurors who put up with that incredible hardship.